Low, Medium and High Power Dummy Loads. Terminations - Built with experience! 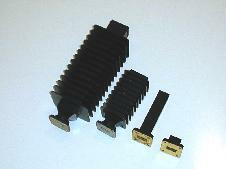 Suncoast Microwave offers several styles of waveguide terminations. 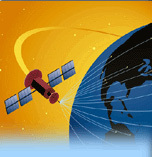 Low power "stub type" are used where minimum power and space are required. Medium power are slightly larger than the low power version, but also add a significant amount of power handling capability. High power versions are made with heat sink fins to dissipate the heat. All high power versions are made from aluminum housings and dip-brazed together. Suncoast Microwave keeps several styles on the shelf. Simply pick the style you need and we will ship the next day! For pricing on loads email us today!